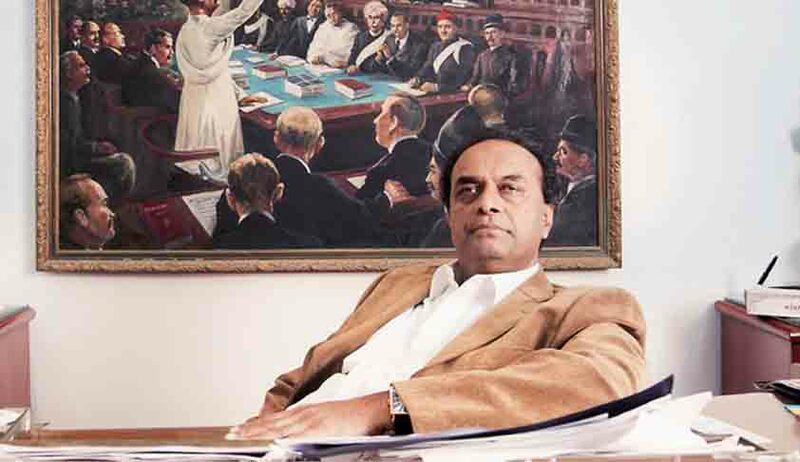 The Supreme Court today dismissed a writ petition which sought a direction to the Centre to stop giving permission to Attorney General Mukul Rohatgi to appear for private parties in cases against government. Rohatgi, Central government's senior-most law officer had raised eyebrows in the Supreme Court when he represented a private party and that too four-star Bar owners of Kerala in their appeal against Kerala HC order upholding state government's liquor policy confining bar licences only to five star hotels. “As long as there is no conflict of interest can he not appear for private parties? No we cannot intervene in the matter and issue any orders. It is for the government to take a stand on such matters”, said the bench while refusing to entertain the plea filed by kerala-based NGO Centre for Consumer Education. The bench also rejected the plea for referring the issue to a constitution bench to decide if senior government law officers can be allowed to appear against government. “Issue a writ in the nature of mandamus or any other appropriate writ , orders directing the respondent no. 1 (union government) to stop granting permission to the respondent no. 2 (office of the AG) to appear for private parties against the state and its instrumentalities”, the petition filed through advocate Wills Mathews said. Though Rohatgi defended the decision to accept the brief telling reporters who questioned him saying he had secured the requisite special permission from the Centre, sections of the bar (lawyer community) felt it was improper and opposed it. The AG also saw no conflict of interest as Union of India is not a party in the case. “The act of the Ld. Attorney General appearing for a private party on an issue against prohibition (Article 47) , the policy of the State Government, a constitutional provision, that also an issue connected with the interpretation of Fundamental Rights , mainly Articles 14,19, 21 resulted in conflict of interest for the Ld. Attorney General who is the face of the Government before this Hon’ble court ,who is holding a superior position resulting in violation of Article 14 of the constitution of India for the petitioner”, said the petition. “The constitutional privileged position the Ld. Attorney General for India is holding, a friend, philosopher and guide of this Hon’ble court,the link between the President of India and this Hon’ble court in reference and other very serious issues , much above an ordinary Lawyer and even much above a designated Senior Advocate before this Hon’ble court and every courts of law is equal to that of a Judge of the Hon’ble Supreme Court of India”, it said. Being an issue affecting the law officers of the country, interest of justice and ends of justice requires a constitutional bench of this Hon’ble court to decide the substantial question of law as to the interpretation of Article 76 the constitution of India raised herein particularly in the light of the fact that the office of the Ld. Attorney General for India is much above an Integrity Institution. Every action of the respondent no. 2 should be just fair and reasonable and above all doubts and its actions should be in harmony with the ideals, philosophy and mandate of the constitution, because the office of the Ld. Attorney General for India is an integral part of the constitutional set up , with full time assignment in which there is no scope for taking private assignments other than assignments for India . Even otherwise considering disastrous consequences that can happen to the legal system and rule of law , if law officers of the country are allowed to appear against the Government and its policies as a matter of precedent ,all resulting in eroding the faith of the people in the constitutional set up ,there is an urgent need of deciding the above mentioned substantial question of law by a constitutional bench of this Hon’ble court “, it said. Rule 8 (1) (a) of the Law Officer (Conditions of Service) prohibits Central Government's law officers from appearing for private parties. As complaints of law officers defying the rule increased, law ministry last year issued a rule that no law officer shall appear for private parties. The ministry had said permission for taking up private cases could be sought only in "compelling" situation as their primary role is to defend the government in courts. Lawyers also point out that permission obtained for appearing for bar owners of the kerala who are opposing total prohibition is all the more astonishing as Article 47of the constitution mandates implementation of prohibition policy. "AG Rohatgi's was a constitutional post and though appearing for a private party and that too bar owners is not illegal per se, it is unethical and immoral", said a senior SC lawyer who did not want to be named.